You're going to love this sweet and salty combination of pretzels, caramel and chocolate. 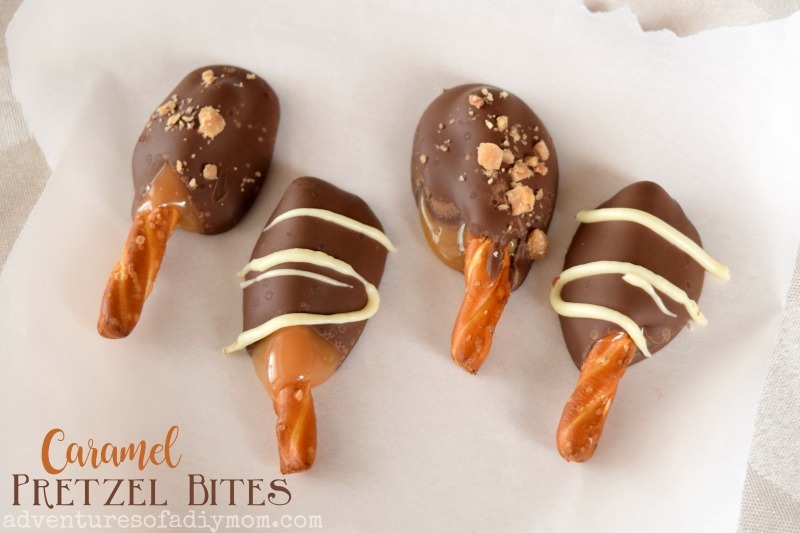 The pretzels rods are first dipped in homemade caramel and then in chocolate. Top them with a drizzle of white chocolate, sprinkles, nuts, or toffee bits to give them a gourmet feel. Last year my husband discovered these delicious little pretzels that are thick, but short. They are perfect for snacking. My kids love them. I decided to make caramel chocolate dipped pretzels with them. SO good! oh.my.goodness, I cannot stop eating them. They are pretty easy to make and I use the same recipe for caramels and caramel apples as I do for these pretzels. Toppings: toffee bits, sprinkles, nuts, white chocolate, etc. Combine caramel ingredients in a heavy pot. Heat over medium heat until candy reaches 230°. Let cool slightly and then dip pretzels in the caramel. Place on parchment paper to cool. Once caramel has set, melt the chocolate. Dip the pretzels in the chocolate and place on parchment paper. Add toppings before chocolate has set. If you have leftover caramel pour it into a greased pan and let cool. Then cut up and wrap in wax paper. 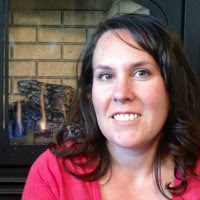 © 2019 Adventures of a DIY Mom Nutrition information is not guaranteed to be accurate. I have not tried using store bought caramels. The caramel squares would probably work better than a jar of caramel, because you want the caramel to thicken up and stick to the pretzel. I think you could melt down the caramel squares and it would work. I would love to know if any of you have tried it this way, or have any advice about using a store bought caramel. Do you take plates to neighbors and friends filled with homemade goodies? 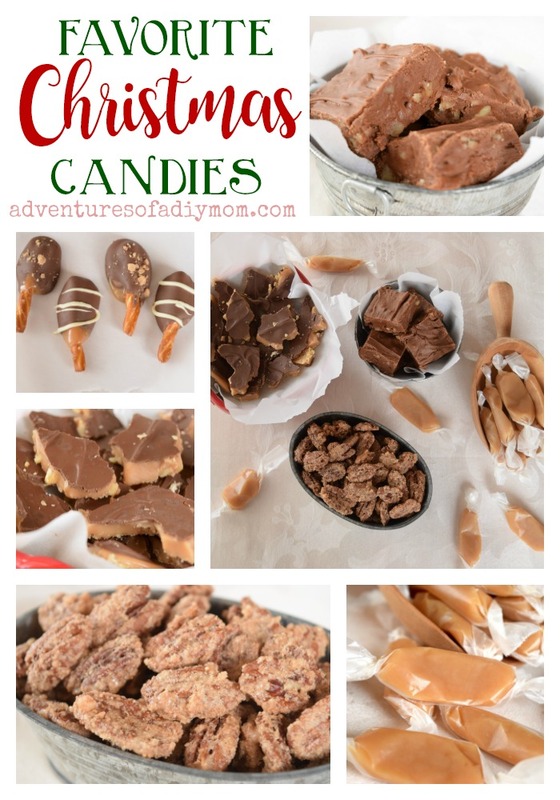 Want more homemade candy recipes to add to the mix? You're in luck! Pretty much the whole month of December is dedicated to Christmas candies this year.